On Thursday, March 2, 2017, Snap Inc., parent company to the photo-messaging app known as Snapchat, went public. Since its birth in 2011, Snapchat has grown exponentially to about 150 million daily active users. Initially perceived to be nothing more than a sexting app, Snapchat carved out a space of its own that allowed users to share bits and pieces of their lives through authentic, un-manicured photos and videos. Through Discover and special stories, Snapchat demonstrated it could compete for advertising dollars. Snapchat was in a comfortable niche until Facebook’s Instagram launched Stories and Instagram Live. Stories, a manifestation of the highest form of flattery, is a direct response to Snapchat’s potential. So far, Snapchat has fared well: It’s still a serious player in social media, ad agencies and brands are happy to welcome a competitor to Facebook and Google’s duopoly, and it’s graduated from a Silicon Valley startup to the ranks of Wall Street. Now that the dust has settled from the largest IPO in three years, let’s look at where they go from here. Unlike many companies Silicon Valley graduates who may go public too quickly, Snap Inc. took the right steps to set themselves up for success. 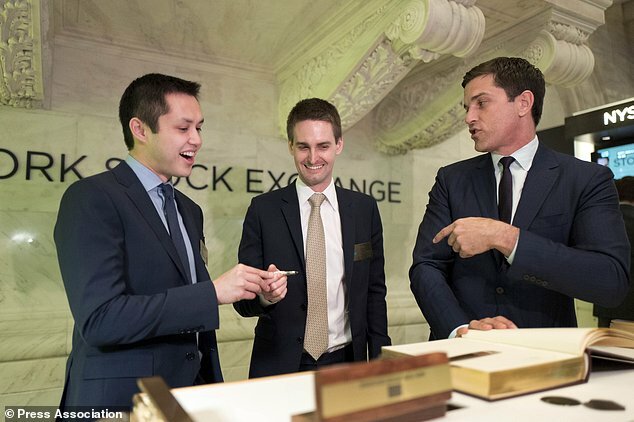 Snap Inc. conducted a successful IPO roadshow. For starters, they picked an almost ideal time to go public. A few years too soon would have caused a lot of reason for doubt. The Discover feature was new and Stories was untested. Arguably most importantly, neither had generated any revenue. Snapchat has been making money since it launched its advertising business in 2015. Twitter’s mistake was that it was barely making any money when it went public. On the other hand, a few years too late would’ve allowed for too many variables. Instagram’s Stories are still in their infancy. While Instagram poses a viable threat, their imitation is further proof of concept. Snap Inc. also did an excellent job telling a story for investors to buy into. One of the most notable elements of their story is their focus on engagement rather than on user growth. Ever since Facebook’s IPO, analysts and investors tend to focus on user growth. Snap on the other hand has touted its user engagement as a major part of its pitch. User growth naturally slows for any company and growth numbers often lack context. This was a smart move for Snap Inc.; many of Twitter’s current woes result from the narrative surrounding its lack of user growth. Snap got ahead of this narrative before it could take off. In avoiding Twitter’s woes, Snap Inc. took a page out of Amazon’s playbook. One line from their filing reads: “We have incurred operating losses in the past, expect to incur operating losses in the future, and may never achieve or maintain profitability.” Amazon is notorious for prioritizing long-term growth over short term profits. Amazon frequently reinvests its profits into its business. It appears Snap Inc. has similar plans. In 2016, Snap Inc. spent over $180 million, or 45% of its revenue, on R&D. While this appears on a balance sheet as a loss, it’s actually a deliberate investment in the future. Given the intense competition and the rapid rate of innovation, proactive R&D investments are necessary for a company’s survival. This effort seems to have proven useful as Snap Inc. launched a new product in the fourth quarter of 2016—Spectacles–and they’re consistently disrupting their product with new features. First, is the company’s leadership. The original founders, Evan Spiegel and Bobbie Murphy are still at the helm. To date, they’ve made wise business and product decisions. Declining Facebook’s $3 billion offer, changing the location of the Discover Page, and a few acquisitions to boost their analytics to name a few. Sound ideas cannot survive long-term without strong leaders who can create a vision and mobilize resources to execute it. As mentioned, above, Snap Inc. also bodes well because of the many product evolutions. Snapchat has seen many product updates and enhancements in its short lifespan. Snapchat has made more product enhancements in the past three years than Twitter has made in the five years since Snapchat’s founding. The changes have helped enhance user growth and they’ve kept current users interested. If this continues, Snap Inc. will be able to compete against Facebook, who despite its size, has also maintained its ability to move swiftly. Finally, Snap Inc. has an industry that is hoping for its success. Brands and agencies are constantly looking for new ways to reach audiences in the digital space. Facebook and Google control the territory that is digital advertising. While their prominence offers advertisers an alternative to TV advertising, their dominance has left advertisers with little leverage. Google and Facebook set the rules and they only have each other to compete against. Snap Inc. the one of the few companies poised to offer a real alternative to the two horsemen. Unlike Facebook and Google, Snap Inc. began in the mobile video space. Its video products are native to how people are accustomed to using their phones. They’re therefore better positioned to aid brands in producing compelling mobile video content. Aside from the most recent decline in user growth, the main worries for Snap Inc. all stem from Facebook. Facebook’ two lethal weapons, WhatsApp and Instagram, each specialize in areas of the two features that make up Snapchat: messaging and photos. People have easily seen how many more views Instagram Stories get over Snap stories. Instagram has also been quick to add geo-filters that link directly to the accounts of locations tagged in a story. Instagram also has Instagram Live. While Snap has curated stories, they’re still missing a live streaming feature. Snap Inc. has tried to draw a line between themselves and their competitors by calling themselves a camera company, but Zuckerberg sees this territory as fair game. Facebook is a serious contender. The introduction of Instagram video played a role in Vine’s demise. It’s made it impossible for Google to truly excel at social media. It bought Instagram and WhatsApp. Facebook has also taken many features that Twitter initially pioneered to bring users back to its platform. Just as we would be fools to underestimate Facebook, it would be foolish to underestimate Snap Inc. Just as Mark Zuckerberg notoriously declined early offers for Facebook, Evan Spiegel notoriously declined Facebook’s $3 billion offer. There was a time where the market didn’t see a path to revenue for Snap Inc. If Snap Inc. continues to keep the market on its toes, it’ll earn its spot in the Game of Thrones that is the digital media landscape.